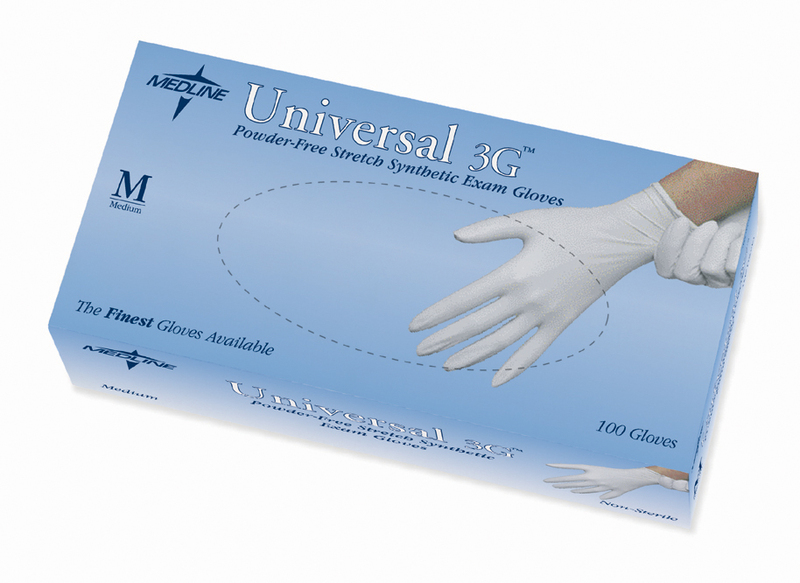 Universal 3G Powder-Free Stretch Vinyl Synthetic Exam Gloves Offer Strength and Flexibility. These soft, comfortable third generation stretch vinyl synthetic gloves are 100% latex free and DEHP free. The narrow cuff eliminates rolldown. These proprietary formulation stretch vinyl gloves conform to the hands for excellent sensitivity when touch is critical. "This is one of the best gloves on the market it fits better than Latex"